Unfair or Constructive Dismissal - What's the difference? People often use the phrases “constructive dismissal” or “unfair dismissal” without really understanding what they mean. Sometimes, these expressions are used as though they mean the same thing. However, unfair dismissal and constructive dismissal are very different. An unfair dismissal occurs when an employer dismisses someone unfairly. 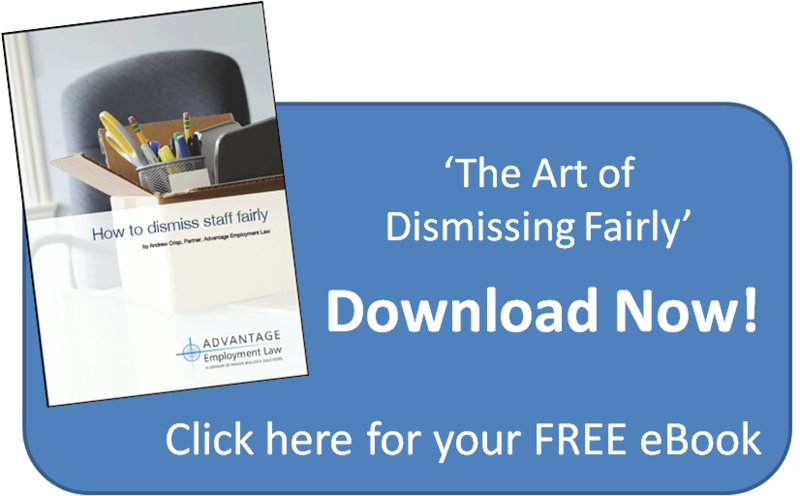 OK – I know that sounds a bit obvious but what makes a dismissal fair or unfair? The reasonableness of the employer’s actions in dismissing the employee, including whether they followed a fair procedure, such as the ACAS Code of Conduct. A constructive dismissal occurs when an employee resigns in response to the employer’s conduct. In one sense, it’s not a dismissal at all. It’s a resignation. The employee did not wait too long before resigning. So unfair dismissal and constructive dismissal are very different concepts. However, they do have some things in common. Whether or not an employee is unfairly dismissed or constructively dismissed, they are entitled to be compensated in the same way. This would usually include a basic award which is calculated in exactly the same way as a redundancy payment. It would also include a compensatory award which is calculated by reference to the lost earnings resulting from the employee losing their job. This means that the compensation is much higher if the employee is out of work for longer. Whether the employee is claiming unfair dismissal or constructive dismissal, they will normally need to show that they have been employed for the minimum qualifying period. The minimum length of service for bringing a claim is two years, unless the employee began work before 1 April 2012, in which case the minimum period is one year. For some types of unfair dismissal and constructive dismissal claims, there is no qualifying period. For example, if the employee is claiming that they were unfairly dismissed for a pregnancy related reason. Whether or not the employee is claiming unfair dismissal or constructive dismissal, they must commence their claim within three months of the termination date. Otherwise, they will be out of time. If you do need advice on any aspect of employment law, feel free to give me a call on 01604 619 810 for a free consultation.